Bath heaters - CEBA S.r.l. Bath heaters are designed for heating a process liquid and gases indirectly through a process coil submerged into a bath solution heated by a fi re tube style burner. 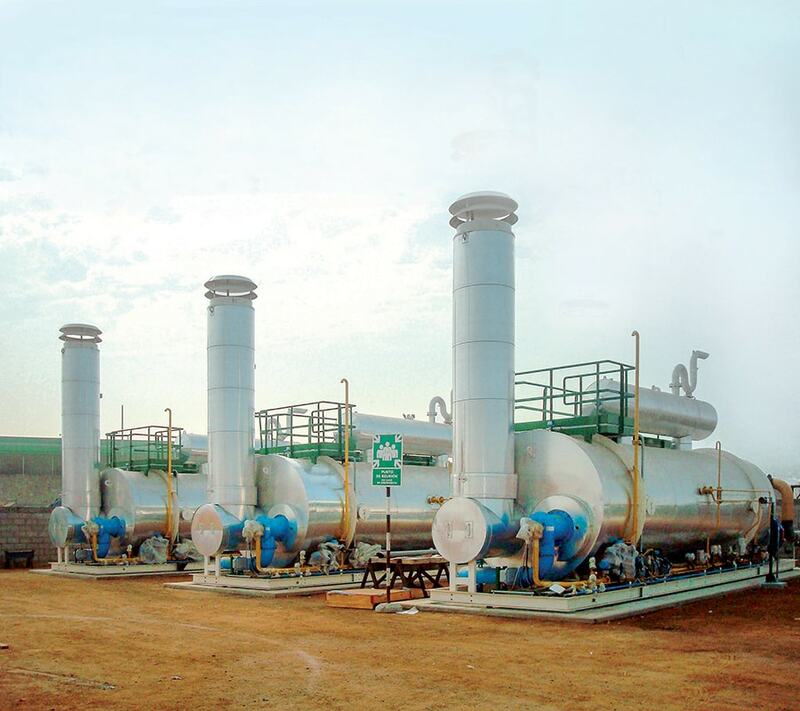 Indirect fired heaters are used in order to prevent the formation of ice crystals and hydrates occurring during expansion of the Natural Gas for the Joule-Thompson effect but they are also used for instance to heat up crude oil to reduce viscosity or to heat up well-heads. 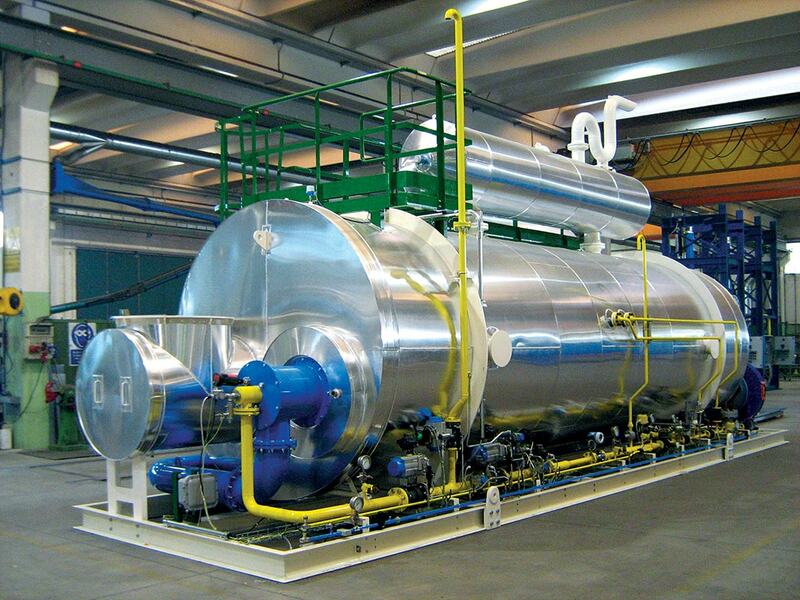 The main advantage offered by this technology is the possibility to transfer energy to any process fluid at lower temperature and with higher safety levels. 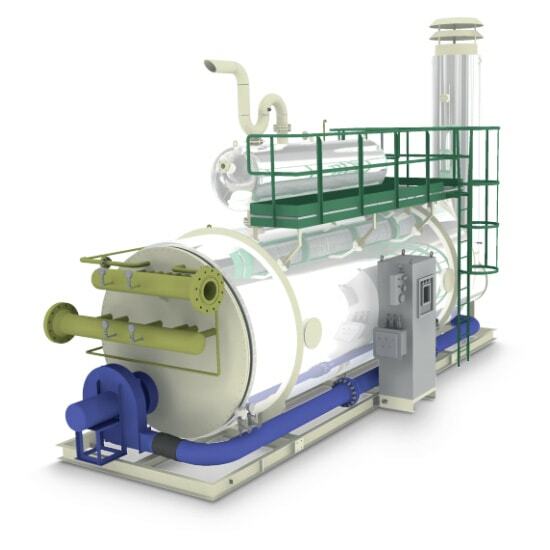 The indirect fired heater consist of an insulated bath heater shell where the bath fluid is heated through a fire tube exchanger placed in the bottom part using combustion gas produced by a burner. 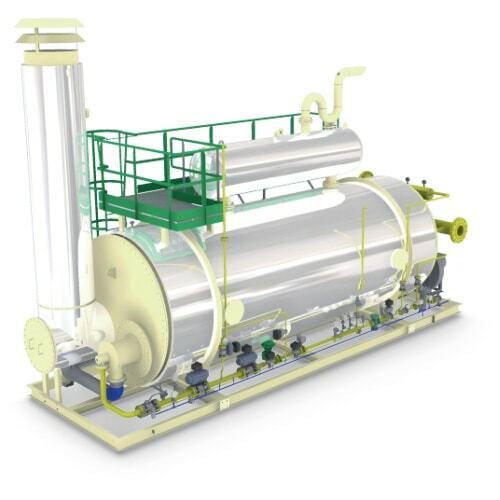 By means of natural convection the water or other bath fluid transfers the heat to the process fluid circulating into a series of process coils located at the top of the heater shell. An expansion tank placed on the top of the heater is used to compensate the change volume of the liquid with temperature. Indirect fired heaters have long life and reduced maintenance. 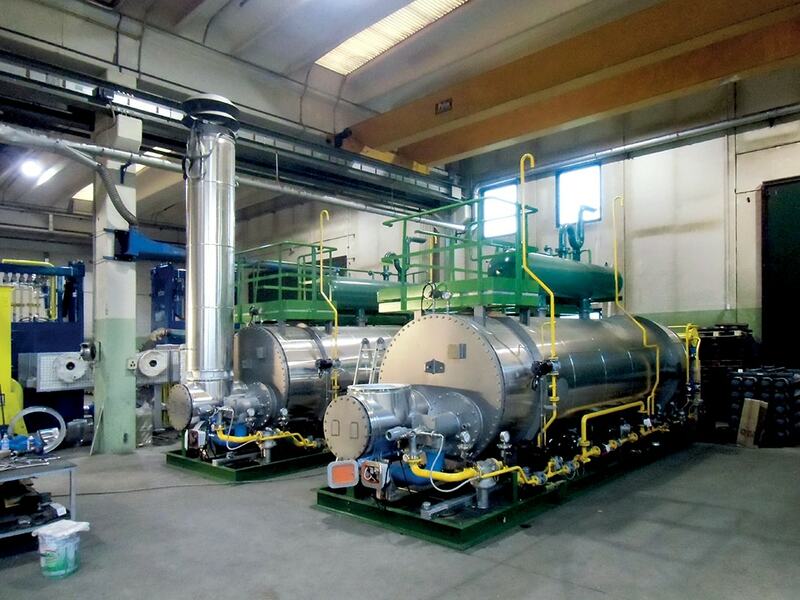 The efficiency of the system depends on the surface exchange and from burner design that can be forced or natural draft. Heating of high pressure natural gas before pressure reduction to prevent external frost formation/condensation phenomena. 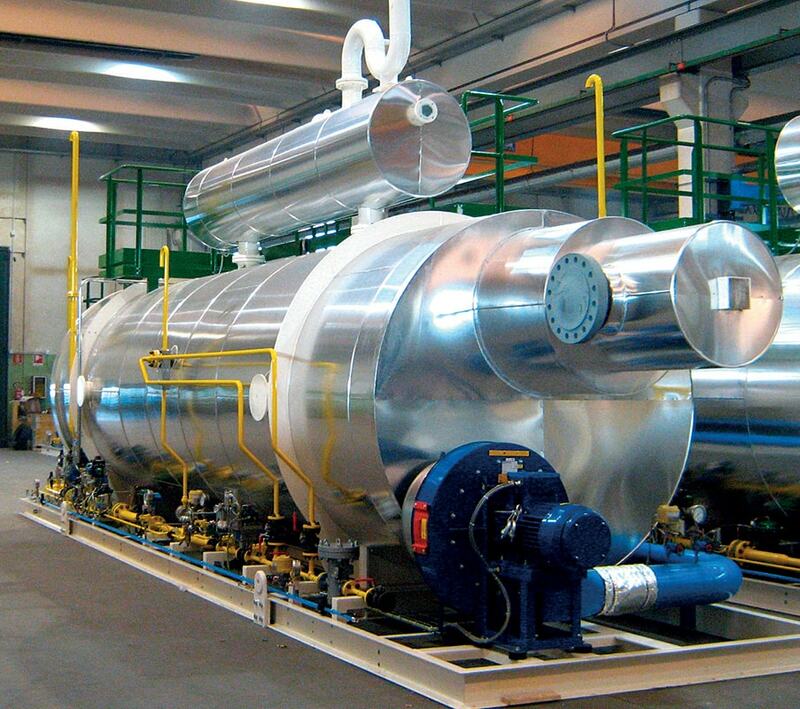 Heating of high pressure natural gas downstream low temperature storages. Heating of crude oil to maintain fluid viscosity at a minimum and above paraffin pour point. Preventing hydrate formation in stream fluids. Heating of well-heads fluids before separation phase. 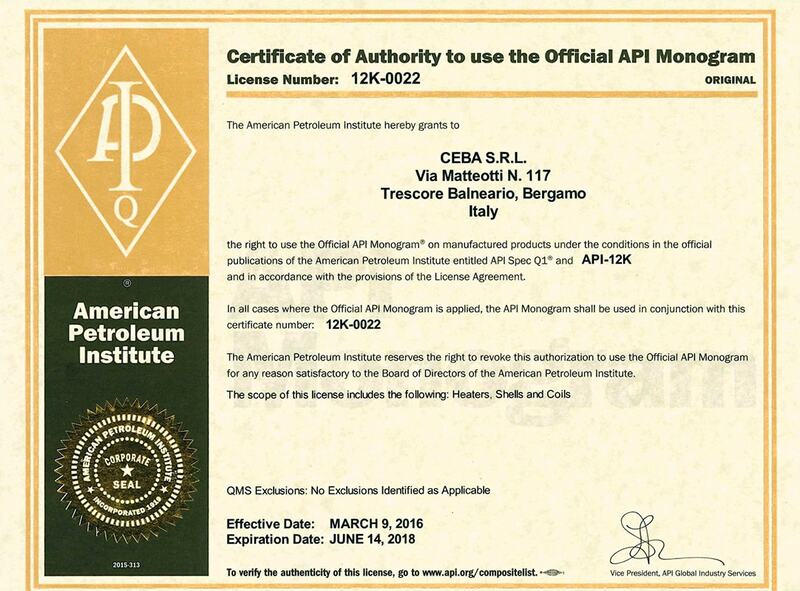 The design is complying with the API 12-K and CEBA is one of the few company in the world qualified with official API monogram. SPECIAL DESIGN of our engineering department with dedicated software, developed in collaboration of University of Bergamo, to assure safe operation, low consumption and low emissions. SKID MOUNTED, WIRED AND ASSEMBLED to the maximum possible extent before shipment. PROCESS COIL (OR TUBE BUNDLE) designed according to main international standard (ASME, TEMA,…). SINGLE OR TWIN FIRE TUBE AND STACK. 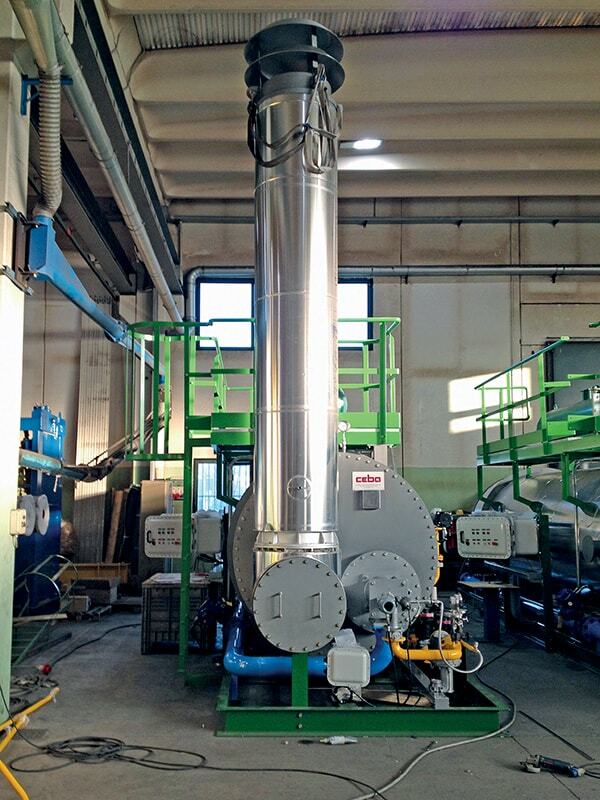 LOW NOX BURNER with proprietary design. 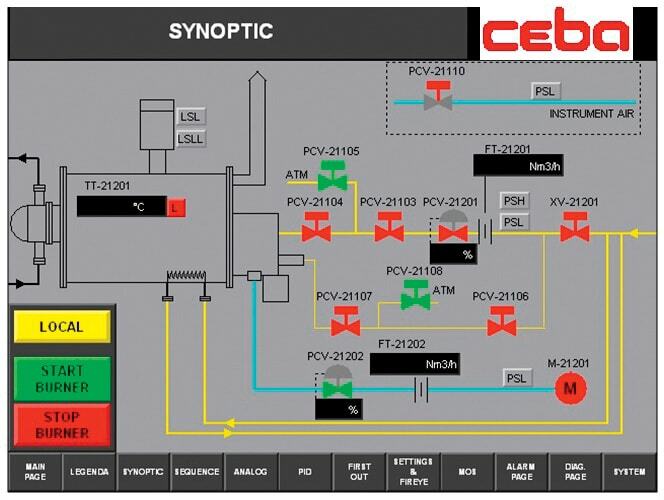 BURNER MANAGEMENT SYSTEM AND PROCESS CONTROL PANEL with relay logic or programmable logic system. FUEL GAS VALVE TRAIN complying with main international standards (EN, NFPA,ATEX,…). FIRST CLASS INSTRUMENT in order to assure reliability and long life. PLATFORM AND LADDER to assure access to the stack and easy maintenance of equipment.